ers 1-3 pole busbars in pin design according to UL508 and UL489 for various makes of line circuit-breakers and fuse mounts. 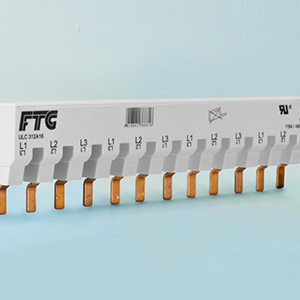 The UL508 bars and the ULcut series are available for currents up to 200 A and can be cut individually to the required length. In addition, the matching range of feed terminals, end covers and contact protection devices is available for the individual series.